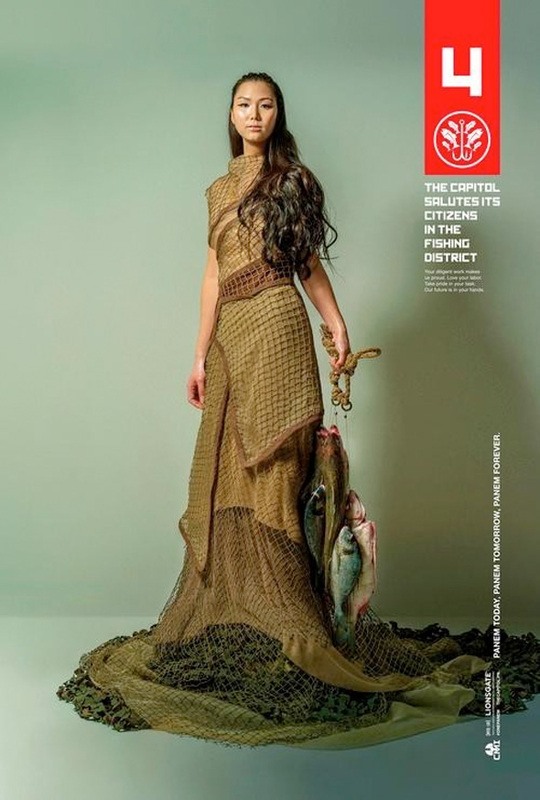 Before The Hunger Games: Catching Fire was released, the hype machine kicked off with some portrait style posters from the viral site "Capitol Couture". 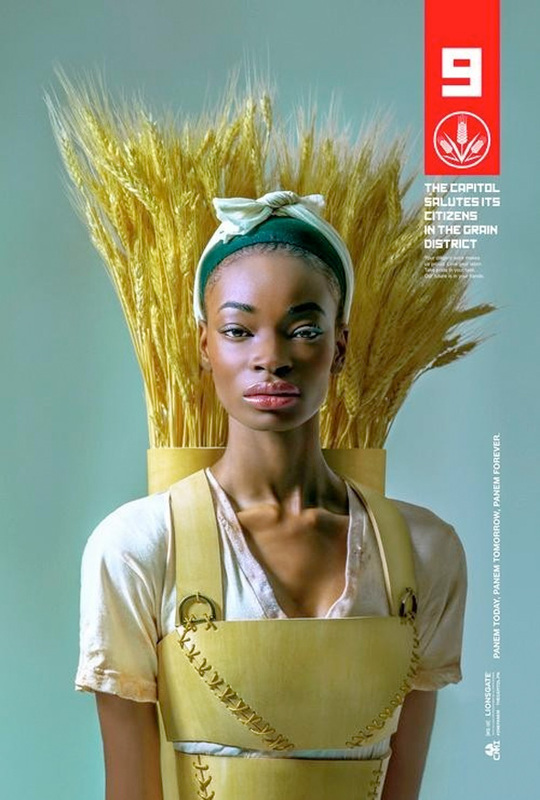 Now Panem is at it again with some new propaganda posters for The Hunger Games: Mockingjay - Part I, meant to pay tribute to the hard workers in some of the districts. 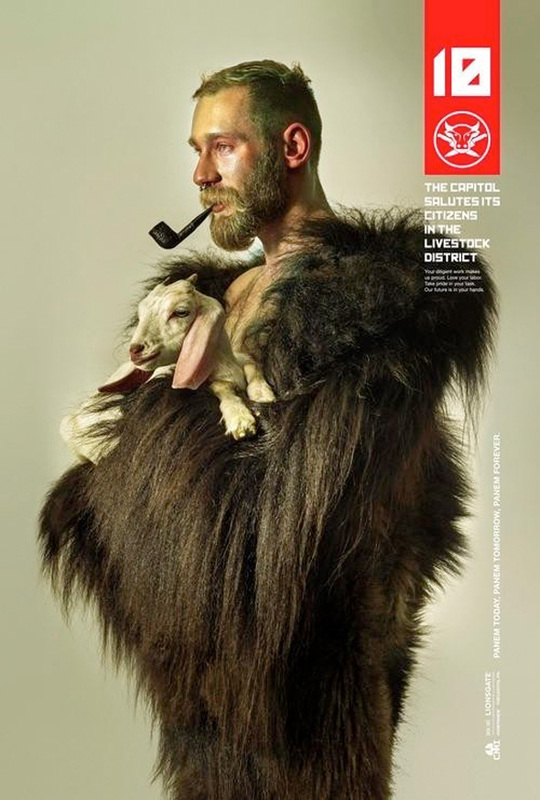 There's no sign of Jennifer Lawerence, Josh Hutcherson or Liam Hemsworth, but these images are pretty stylish, looking straight out of a magazine that you might find in The Capitol. 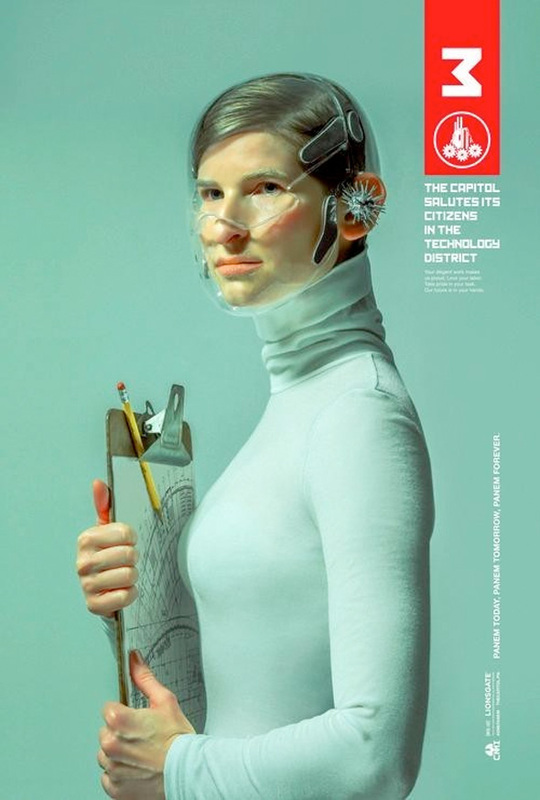 Right now there's only seven of the districts featured in these ads, but we'll add any others when/if they surface. Thanks again to IMPAwards for a look at these new posters. 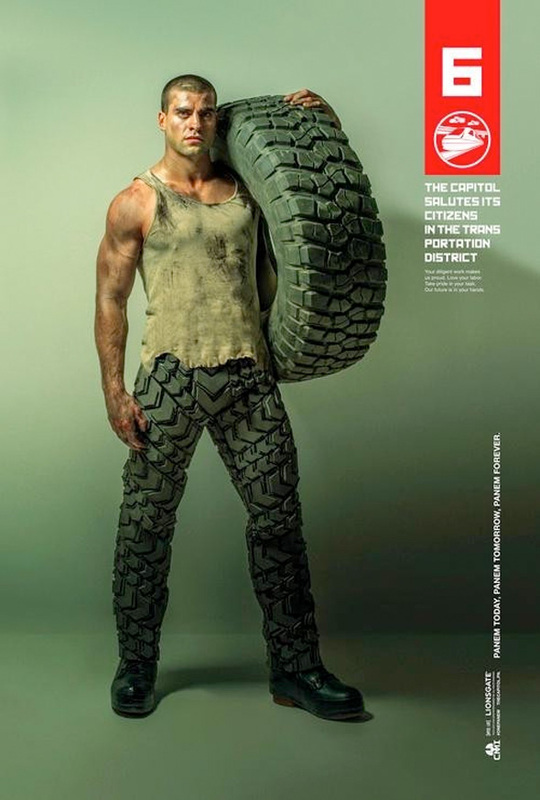 Follow @TheHungerGames for the latest news. 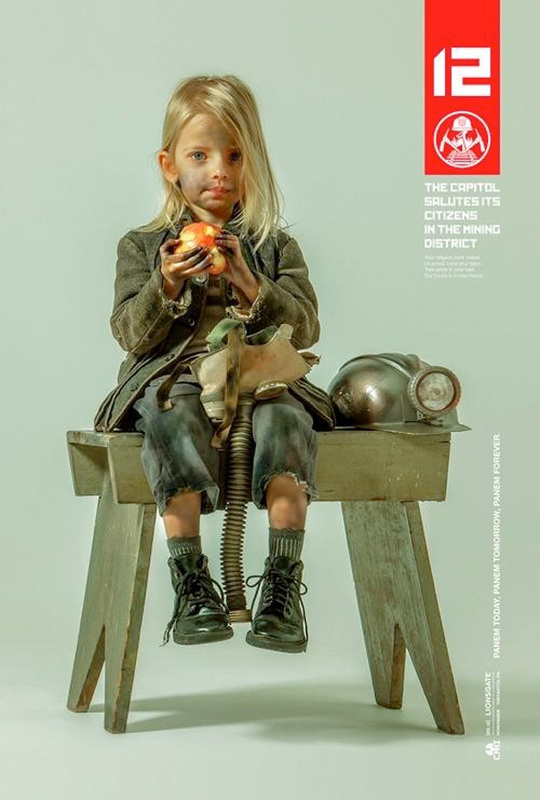 The District 7 one is very good. 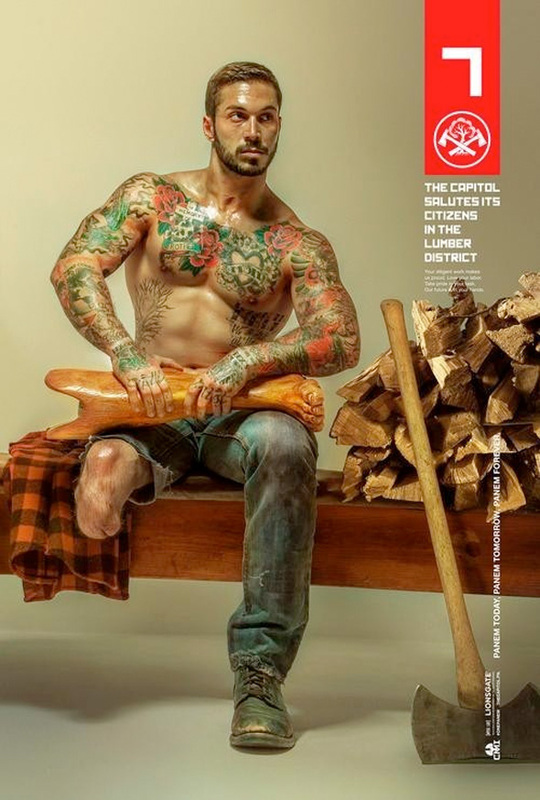 That's Eric Paul Leue representing District 10, which is fun for several reasons.